Dr. Thomas Hubbard uses advanced 3-D imaging technology to give patients a preview of potential plastic surgery results at his Virginia Beach practice, whether you are considering breast enhancement or a facial procedure such as rhinoplasty. A specialized camera produces digital photos that can be rendered in 3-D, and then you can work with Dr. Hubbard to alter the images until you see the results you want. It is a useful communication tool that can help you articulate your concerns and help Dr. Hubbard demonstrate what's possible for you through cosmetic surgery. If you are currently researching plastic surgeons in the Virginia Beach area and want to learn more about 3-D imaging, request a consultation using our online form or call us at (757) 600-6227 to schedule an appointment. What Is VECTRA 3-D Imaging? 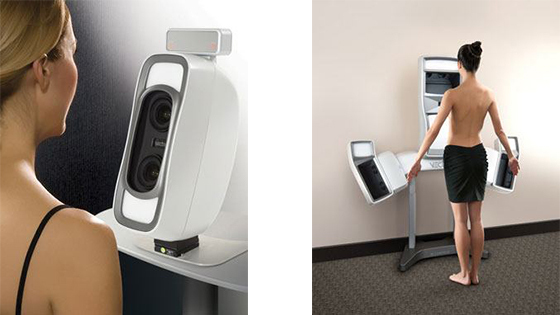 VECTRA is a specialized imaging system. It uses a 3-D camera to photograph multiple angles of the area of your breasts or face you want to target, as well as advanced software that lets us manipulate those images in realistic ways. Dr. Hubbard can show you how different techniques can effect your results. For instance, if you want breast augmentation, he can show you how different sizes of implants might look. 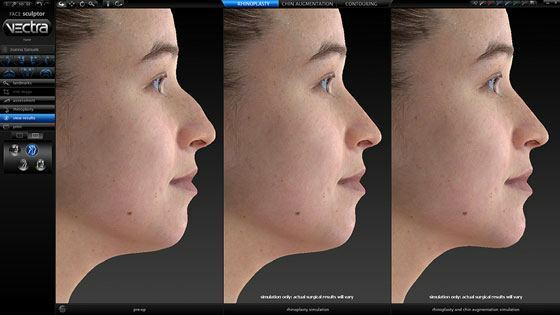 If you want rhinoplasty, he can illustrate how different methods could turn out. These images don't necessarily show the exact results that can be achieved, but they are often a close approximation that represent the possibilities, helping you make decisions about surgical options that best suit your goals. Facial sculpting: If you're considering a facelift, brow lift, rhinoplasty, or other facial plastic surgery procedure, VECTRA can help you and Dr. Hubbard decide on the surgical approach. Breast enhancement: VECTRA 3-D imaging is especially useful for women trying to decide on the size of breast implants. Dr. Hubbard can show you what different size implants might look on your body, or whether a breast lift with augmentation is a possible solution to your cosmetic concerns. To preview your potential and get started planning a surgery with VECTRA, contact our office.